#tbt (but really Flash Back Friday because I missed Thursday) to when I was in Miami this time 2 years ago :( I guess I’m past the days when spring break was a thing because, ya know.. jobs. 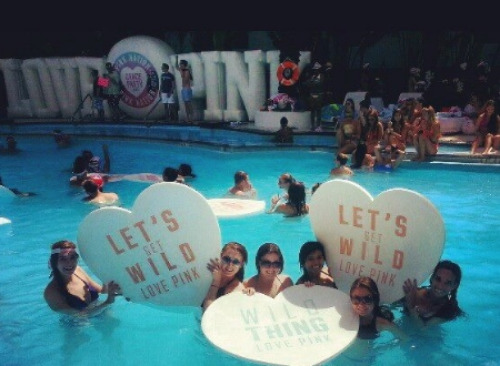 Missing the sun and the pool and the clubs and the beach but most importantly, the music. Check out the playlist I created with songs I added before and after my Miami trip. This playlist is perfect for anyone in Miami, going to Miami, on spring break in general or pretending they are on spring break (aka me). Two Halloweens ago, my roommates and I dressed up as 90s pop stars. Of course a playlist was needed to go along with our awesome costumes. I dressed up as Aaliyah (no one knew who I was supposed to be and when I explained no one knew who Aaliyah was, what’s wrong with people! ), and my other roommates dressed up as Mariah Carey, Britney Spears and Selena. You’ll find 90s songs from all of those artists on this playlist. Feel free to copy our idea and throw a 90s Halloween party! Follow the Carpetjuice instagram (instagram.com/carpet_juice) to see the costumes. For this weeks #tbt playlist I chose a playlist I found in my iTunes library from 2012, my junior year in college. This playlist is titled “Radio 2012” and was the music that was played on my college radio show that half of the year. This is a very long playlist with a weird mix of music, some I have no idea why I would choose to play on the air while others, I remember exactly what was said before putting them on. Enjoy the playlist and make believe you are listening to my radio show. Post your #tbt song/ playlists below! Once I discovered how to download music, mixes became my new favorite thing. I would search an artist and download whatever came up, leading me to know some pretty random songs. I have dozens of mix CDs I made over the years so for this #tbt playlist I chose one at random from my vast collection. The CD I chose is “Melissa’s Winter Mix #1 2003”. The artists go from Blink 182 to Michelle Branch to Donna Summer. All in all a weird mix but it definitely brings me back to that winter. I’m throwing it back to 2004 when I was in the beginning of 8th grade and would only listen to The Garden State Soundtrack, Oh, Inverted World by The Shins and Damien Rice’s O. This is back when my friend’s told me to stop listening to “depressing” music (aka it was too slow for them). I went through weird music phases; the following year the only thing I would accept for my birthday was Kanye West’s Late Registration and in between then I was jamming to G-Unit, more specifically my favorite member— The Game. Enjoy my 8th grade jams and feel free to post your own #tbt playlists below.